No one knew how the storyline would be written for Derek Jeter’s last game as a major leaguer. Love him or hate him it, is hard to believe that after twenty seasons the Captain played his final game with the New York Yankees on Sunday, Sept. 28. That’s when Jeter stepped off the field for a final time during the third inning of Sunday’s 9-5 Yankees win. A high chopper that third baseman Garin Cecchini couldn’t make a play on. As usual, Jeter ran hard down the first-base line, bringing in his 1,311 run batted in with the infield hit. But the true farewell happened three days prior on Sept. 25 when Jeter took off the pinstripes for the final time. There had been a large amount of discussion about orchestrating Jeter’s exit from the field. 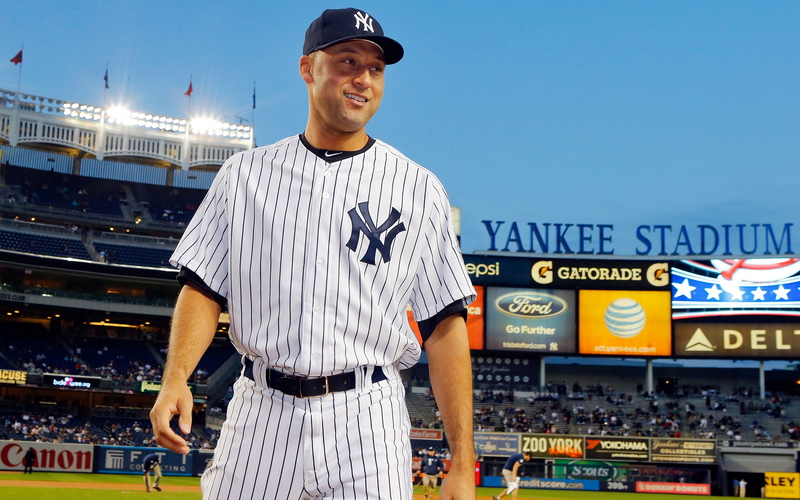 How could they provide the perfect chance to say goodbye after his final game in the Bronx? The Yankees should have known that no one was going to script it better than he would. After holding back tears for nine innings on his last night wearing pinstripes, Jeter stamped an exclamation point on the end of his New York career by slashing an opposite-field walk-off single in the ninth inning, lifting the Yankees to a 6-5 victory over the Baltimore Orioles on Thursday at Yankee Stadium. After the postgame press conference, Jeter left in style in front of a sellout crowd of 48,613 fans chanting his name. Jeter will finish his career with 3,465 career hits, which ranks first in Yankees history and sixth on the all-time hits list. The RBI was number 1,311, which ranks sixth in Yankees history. His career batting average will forever read a remarkable .309. Even with those stats and a few remarkable plays that get thrown in the highlight reels, like “The Flip” and “The Dive” play that some say are over rated, the appeal of the Captain is that he worked hard and made his dream happen. Jeter always wanted to help the community and was always sportsmanlike. Though Jeter is walking away into a new chapter, the legacy he’s worked 20 years to build within the game will remain forever. Now the next highlight moment will be when he is immortalized in Cooperstown.